Nothing is impossible. If you want, you can. Normally, DVDs are compressed with MPEG-2 codec. If you want to back up DVD files or convert DVD to XviD, you need a professional DVD ripper tool. Here Aimersoft DVD Ripper for Windows is strongly recommended to help you convert DVD movies to XviD easily and quickly in Windows 8/7XP/Vista. With an intuitive interface, you can finish the conversion in a few mouse clicks even if you're a computer newbie. 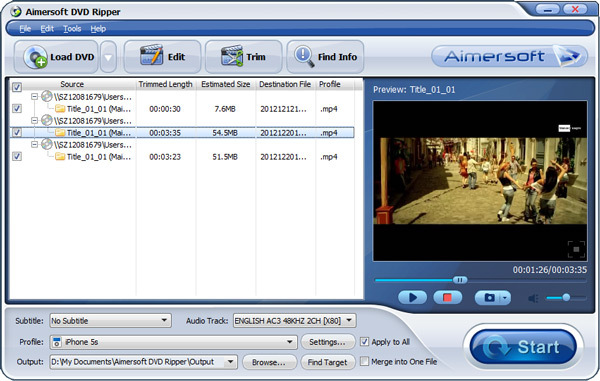 For Mac users, the equivalent Aimersoft DVD Ripper for Mac is handy to rip XviD video files from any DVD. Download the program and check out the easy steps to complete the conversion task. Here we take converting DVD to XviD in Windows (Windows 8) to show you how to do the conversion in details. The way to finish the work on Mac (Mountain Lion) is the same. Please just make sure you've got the right version. 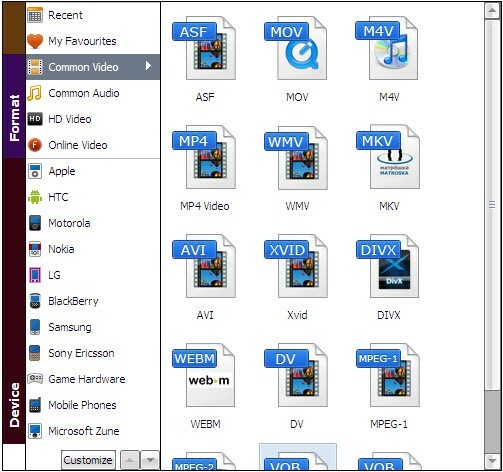 Download, install and launch the DVD ripping tool. Then click the Load DVD button on the interface to upload DVD files. Batch conversion is supported here, so you can add several DVD files for conversion at a time. Tips: Beside the converting feature, this video tool provides you some fantastic video editing features to personalize your videos. If you want to combine several DVD chapters or videos into one file, tick the check-box "Merge into one File" on the main interface. Plus, you can cut off black boarders of the videos, change video effect, add text or image watermark to video and plug in extra subtitles by go to "File" > "Video Edit". Moreover, if you need to trim a large video into several small ones, go to "File" > "Clip". Now you should choose XviD from Common Video as the output video format by clicking the "Profile" column. And if you want to play the output videos on your devices like, iPhone, iPod, iPad and other smartphones and so on, you can choose the device as the output format to get videos with optimized settings for your device. When you're ready for the conversion, click the "Start" button to start the DVD to XviD conversion. In a few minutes, you'll get the ripped XviD files. Bingo! Just enjoy your movie! Hi, please don't worry about that. Your DVD is very safe since our product will not do any harm to it. Will it hurt my DVD? It has so many formats to choose, I am amazed! It helps me to convert videos to other formats with ease. It is really powerful and easy to use. I should say that it is very impressive for me. Nice tool! It is great that I can use it to rip commercial movies now. I am so happy about that. It works well and the result is good. But I find that Video Converter Ultimate is more powerful and I like it more. Yes, it can rip commercial DVD movies. But you should only rip the DVDs for private personal use. Can I use it to rip the commercial DVD discs?